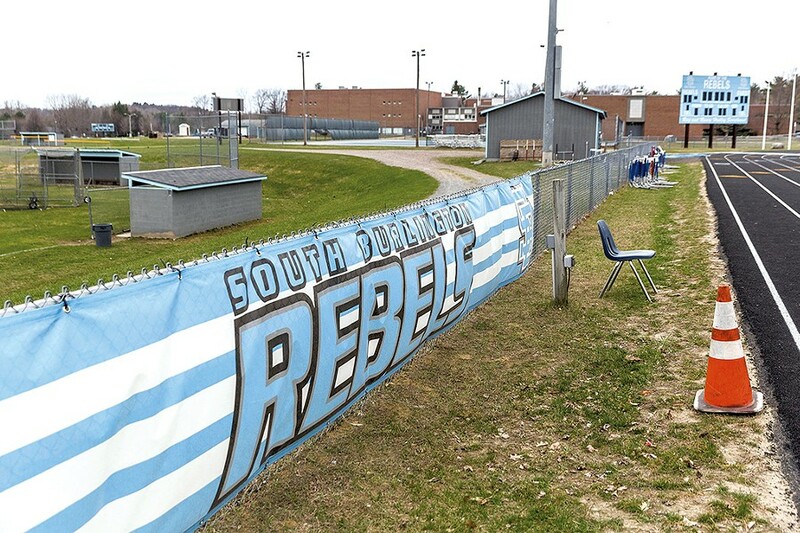 South Burlington police are investigating after someone spray-painted the high school's athletic field with racist graffiti, school officials said. Superintendent of Schools David Young said in a statement that the graffiti was discovered around 2 p.m. on the Munson turf field. All games scheduled for Tuesday have been moved and the field is closed. School officials asked police to investigate the incident as a possible hate crime, Young said. 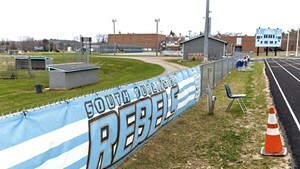 The vandalism likely took place sometime during the last 24 hours, the statement said. It did not give further details on the graffiti. Young did not immediately respond to a request for comment but scheduled a press conference for 4:30 p.m.
Tuesday's development is the latest turn in a simmering controversy full of racial politics related to the school's Rebels nickname. The school board voted in February to ditch the name in response to critics who said it was tainted with racist connotations. 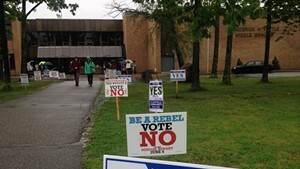 The graffiti was discovered the same day voters went to the polls to weigh in on a proposed school budget for the third time after two previous defeats. *Correction, June 6, 2017: A previous version of this article incorrectly stated that the latest budget includes money to get rid of the Rebel name. It does not.